Clementine can't believe her ears ? her beloved teacher, Mr. D'Matz, might be leaving them for the rest of the year to go on a research trip to Egypt! No other teacher has ever understood her impulsiveness, her itch to draw constantly, or her need to play "Beat the Clock" when the day feels too long. And in his place, he's left a substitute with a whole new set of rules that Clementine just can't figure out. The only solution, she decides, is to hatch a plan to get Mr. D'Matz back. If it means ruining her teacher's once-in-a-lifetime chance -- well, it's worth it. Isn't it? Sara Pennypacker was a painter before becoming a writer, and has two absolutely fabulous children who are now grown. She has written several books, including Clementine and The Talented Clementine, illustrated by Marla Frazee; Stuart's Cape and Stuart Goes to School, both illustrated by Martin Matje, and Dumbstruck. Sara lives in Cape Cod, Massachusetts. 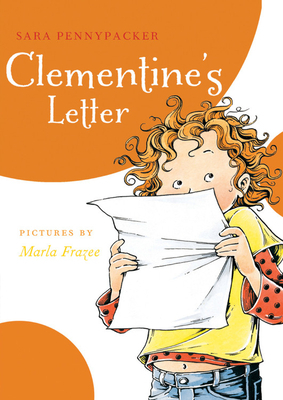 Marla Frazee did the illustrations for the first two books in the Clementine series. She is author/illustrator of Walk On!, Santa Claus the World's Number One Toy Expert, and Roller Coaster. She is also the illustrator of The Seven Silly Eaters, Everywhere Babies,and a bunch of other books. Marla works in a small backyard cabin under an avocado tree in Pasadena, California.